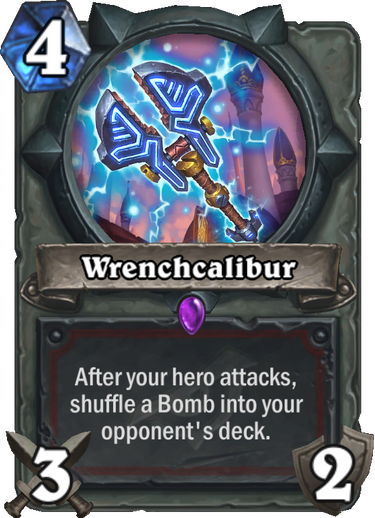 The cheapest lackey generator with the weakest effect, but one that is relevant for Warrior decks that are interested in Execute and Smolderthorn Lancer. Also has obvious synergy with Acolyte of Pain. Not an astounding card but does the job. Weak. There’s no reason to put this card in your deck. 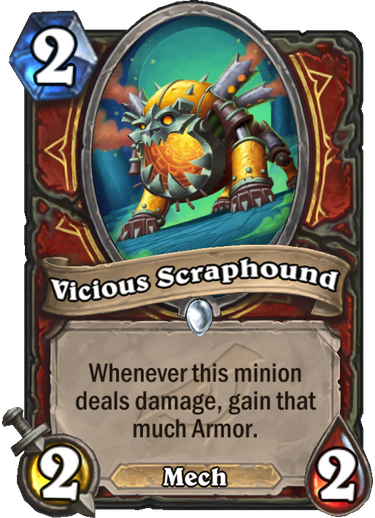 Control Warrior doesn’t want anything to do with this, and the stats are too weak for faster Warrior variant. Pack filler in a class card, and boring too. This might be one of the worst cards of all time. We need this to stay in our hand for 11 turns and then it’s still a strictly worse Branching Paths. Absolutely useless car crash of a card. Feels like its initial design was different and there was a last-minute panic change. 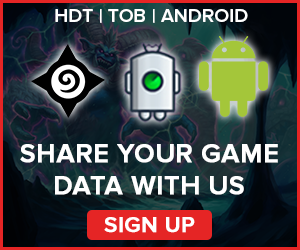 We generally don’t want to run cards that require a minion on the board to not be dead. 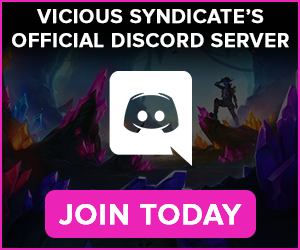 We need a minion on the board to survive until our turn is up. 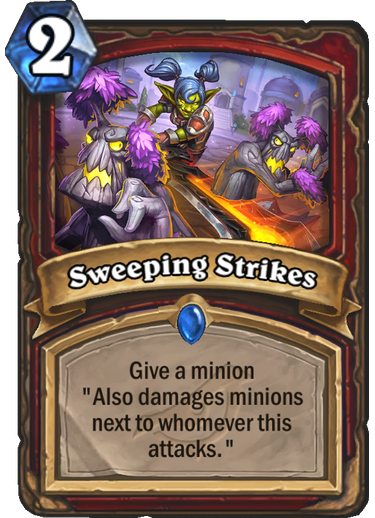 We need it to have a strong enough attack value, and we need it to be able to clear multiple minions of the opponent. To conclude, we need too much to happen for this card to be useful. 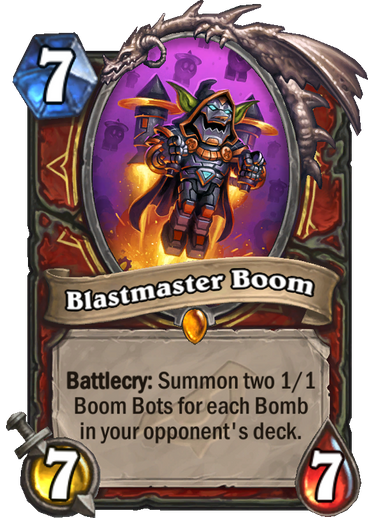 This is a much better card than Seaforium Bomber because of its cheaper cost, making it less of a burden to put it in our deck. Still, the main attraction of Clockwork Goblin is to fuel the new Blastmaster Boom, so it’s hard to say whether it will be worth it. 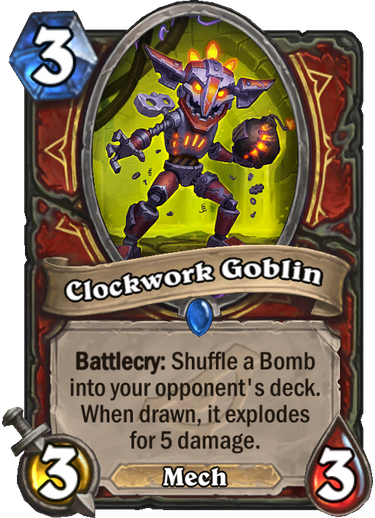 Many have talked about a Control Warrior deck utilizing the bombs, but we think a faster Warrior deck has a far better chance of fitting this package successfully. This is a 10-mana spell that doesn’t win the game when it’s played. We’re looking forward to summoning the Ancient One in Wild, but outside of memes, this card is pretty much unplayable for constructed. 10-mana spells that encourage us to run more 10-mana cards are not very good. This is a weak weapon on the surface but very crucial for the Bomb package, so if Blastmaster Boom ends up being as strong as we think it might be, playing Wrenchcalibur will be a necessary evil. This weapon might be expensive, but it represents a lot of damage and inevitability. A Mechanical Yeti that turns up the heat on turn 10. 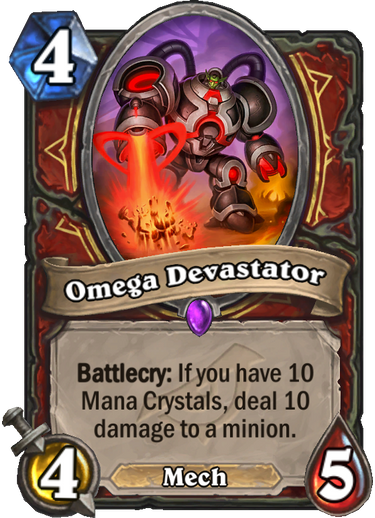 This might be enticing for a removal heavy Control Warrior deck, but a full Dragon shell will probably not use this due to the availability of Lancers and Roasters. Will see play if fatigue is a viable win condition. Great to pick up off Omega Assembly. Very powerful card only questioned by the package that supports it. 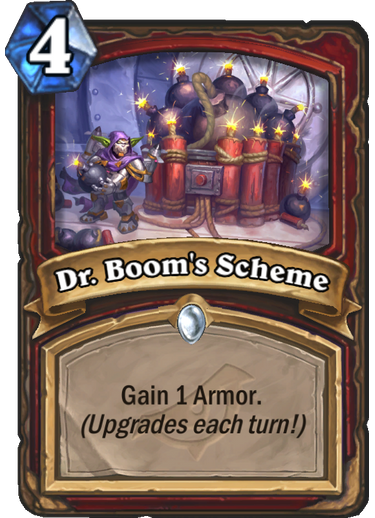 Dr. Boom was one of the strongest cards in the game’s history, and this has potential to become even more oppressive with multiple bombs. 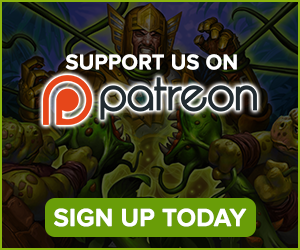 The amount of damage and board tension generated by Blastmaster Boom can be obscene, so we cannot rule out its success. 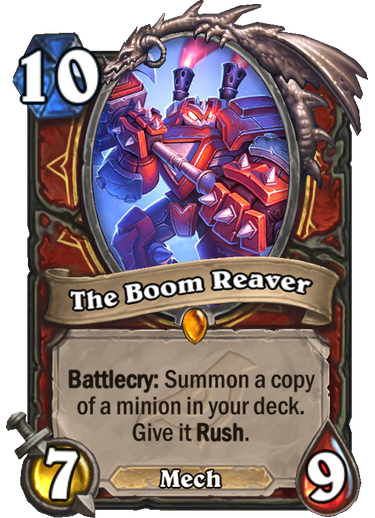 In our opinion, it will be best used in a Rush Warrior deck to improve its ability to close out games, as Blastmaster Boom is a tempo card at its core rather than a natural fit in a reactive control deck. A 10-mana card that just doesn’t do enough to justify ever playing. 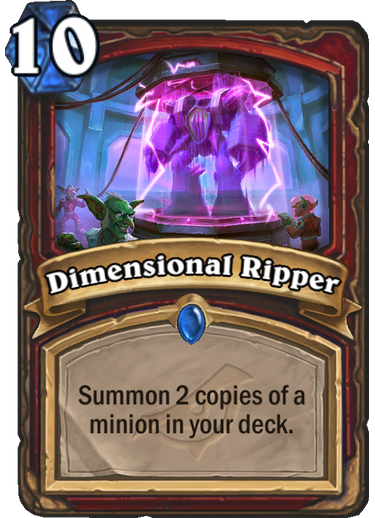 Together with Dimensional Ripper, it encourages us to play a “Big Warrior” deck, but this archetype has failed to establish itself in the meta even with stronger cards such as Gather Your Party and Woecleaver. Nothing about Big Warrior in Rise of Shadows makes us believe that this could work. Warrior’s Rise of Shadows set is very underwhelming, and we’re probably less harsh on it than most people since we still believe in Blastmaster Boom and the bomb package. Luckily for Warrior, its Year of the Raven sets are so strong that it can likely afford not to use any cards from Rise of Shadows and still be successful. 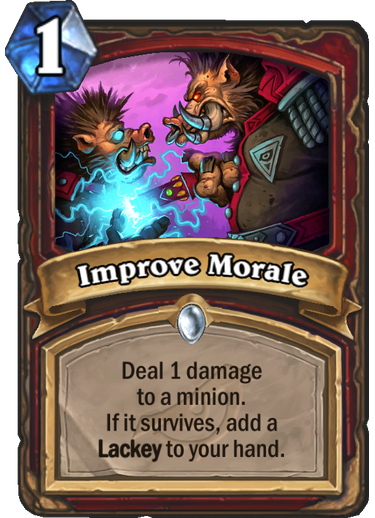 Rush Warrior’s early game strength is terrific, and Control Warrior’s late game looks much stronger in the absence of Year of the Mammoth cards. 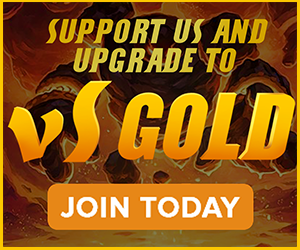 Garrosh should be safe.